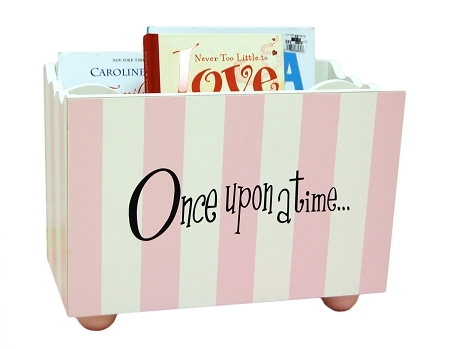 Use these adorable Wooden Book Holders to store your child's favourite books. Each book holder is handcrafted, hand painted and slightly distressed. It is the perfect decorative accessory to any nursery or child's room! Not only are these decorative, but they are handy too! This book holder comes in pink, blue, or grey. This is custom made, once your order is processed it cannot be returned. Please allow between 2 to 4 weeks for delivery.